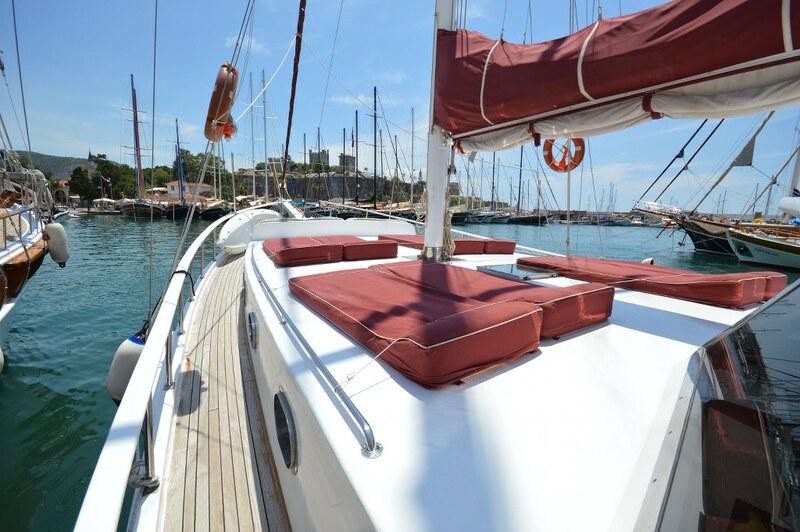 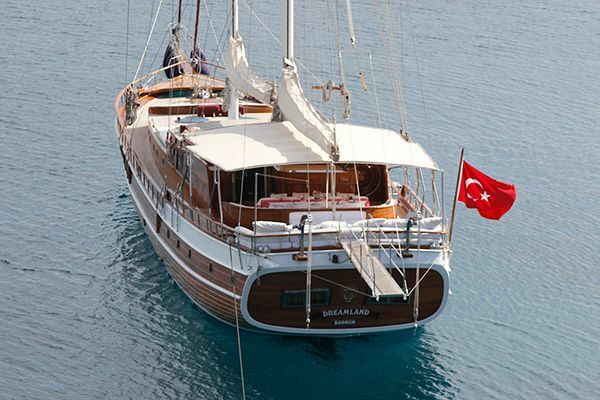 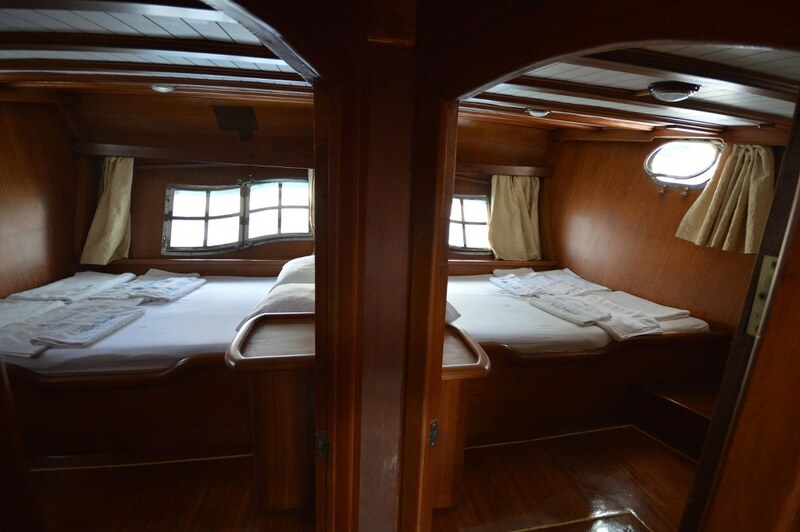 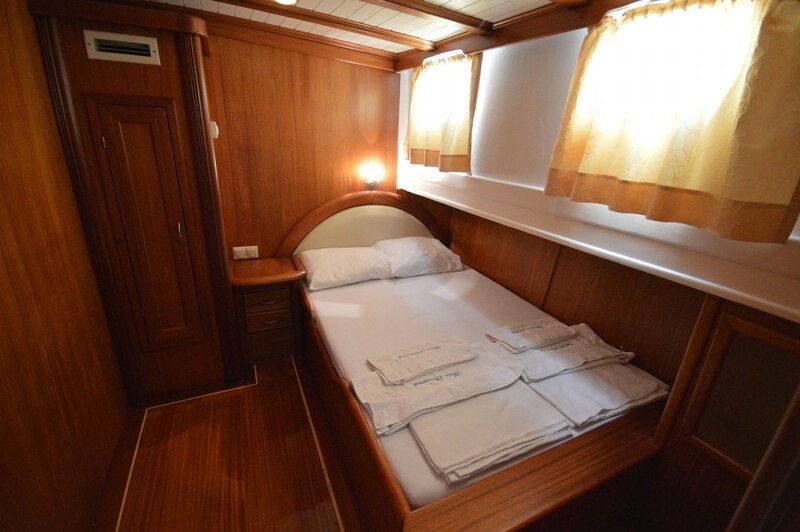 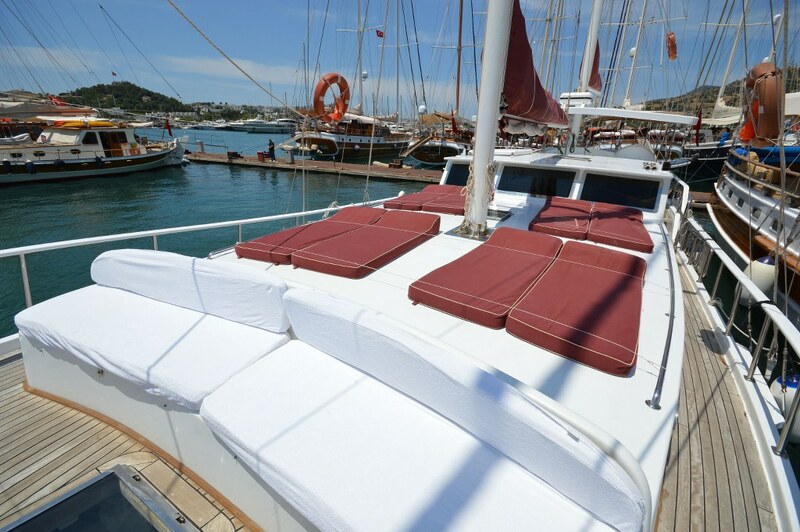 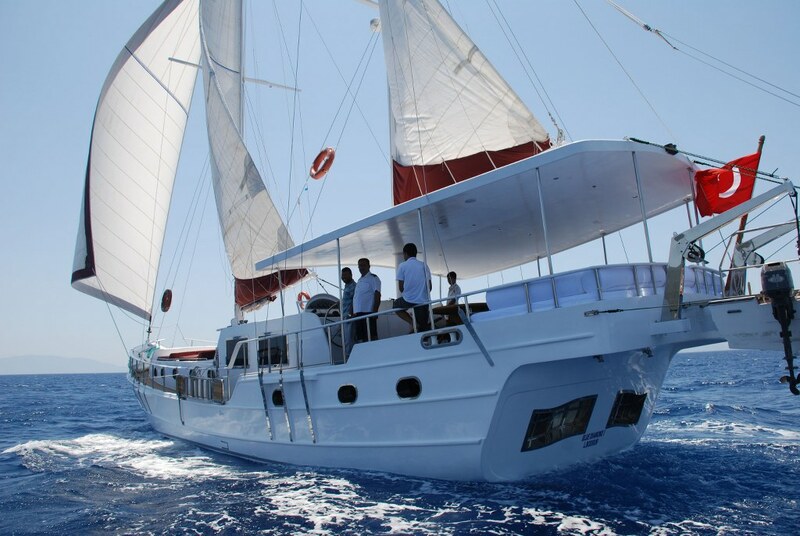 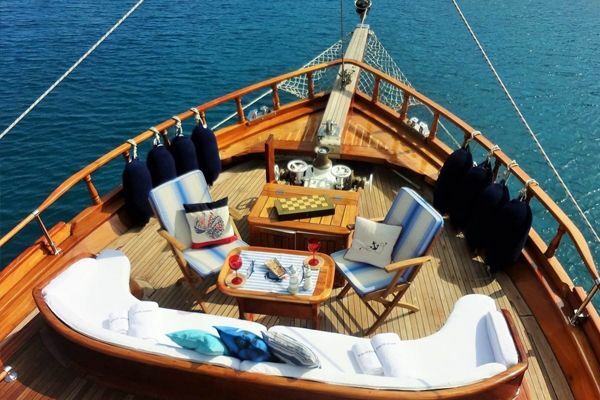 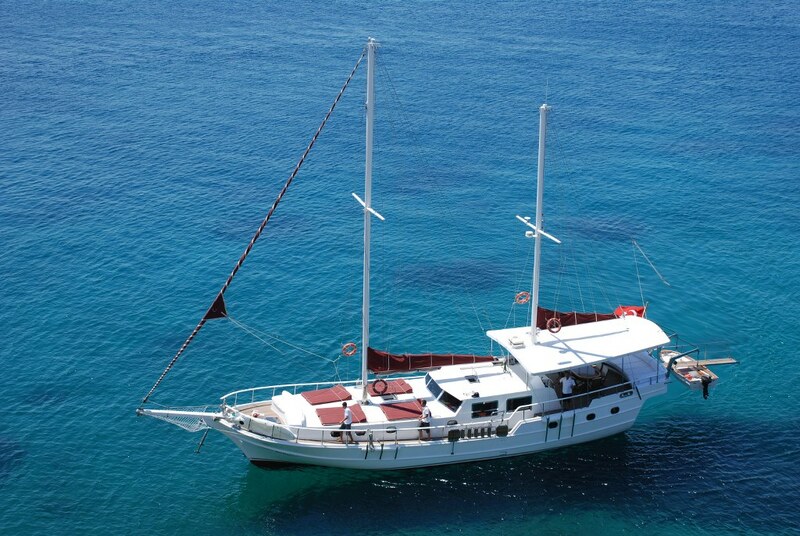 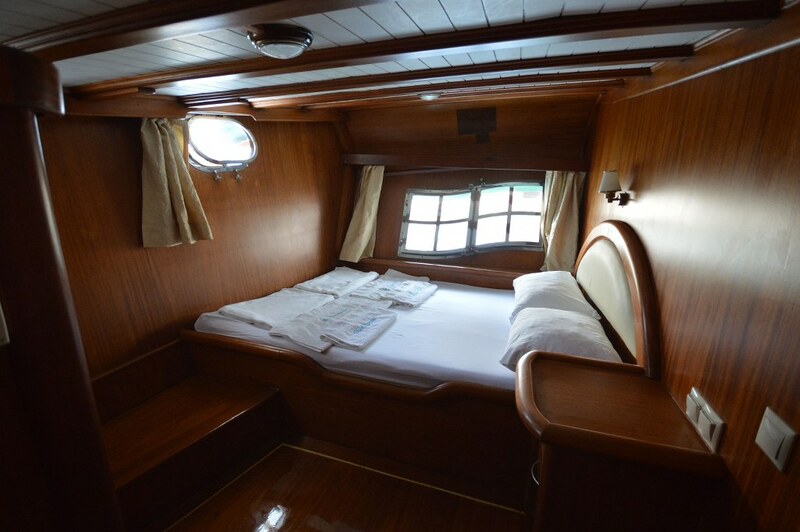 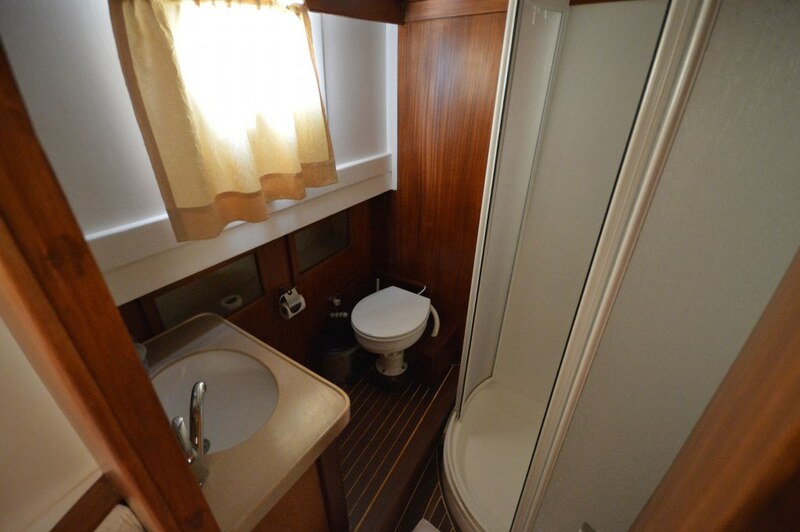 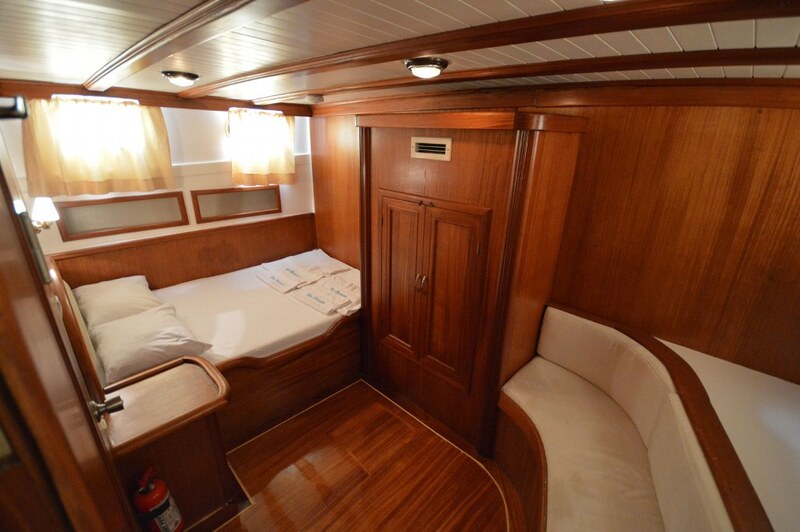 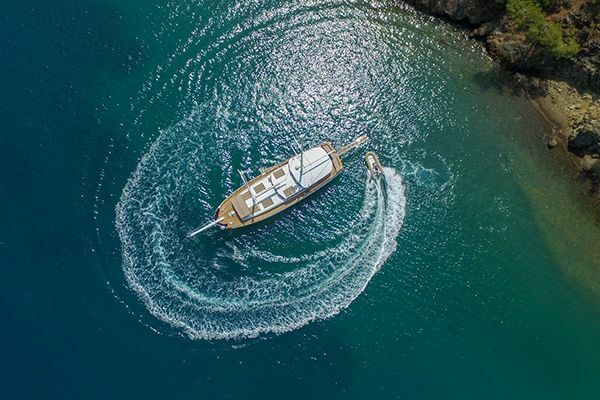 The neat white gulet Blue Diamond deserves to be called a gem, with all 21 meters of her length meticulously maintained, and the four comfortable double bed cabins well fitted with each with a private bathroom/shower. 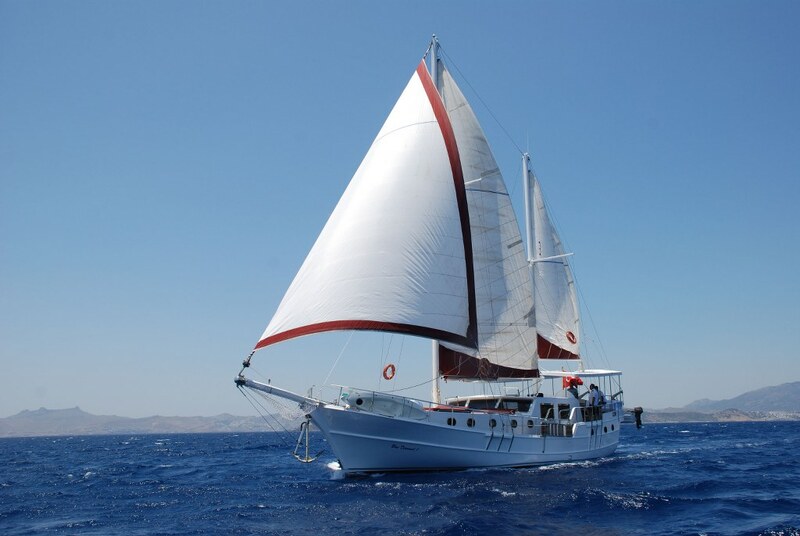 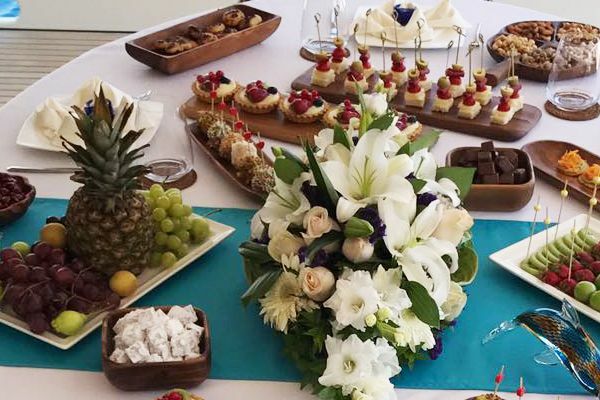 Up to eight guests, a family or four couples can enjoy an excellent value cruise on the blue Aegean with many of the comforts and service of larger gulets. 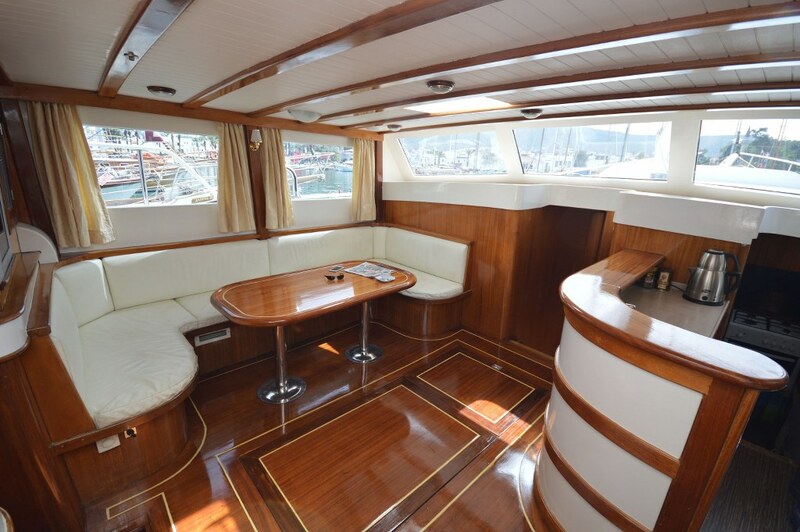 An indoor saloon on Turkish gullet Blue Diamond holds a neat dining and relaxing nook with table and cushioned bench in one corner, and a service bar in the other, plus a TV for extra entertainment. 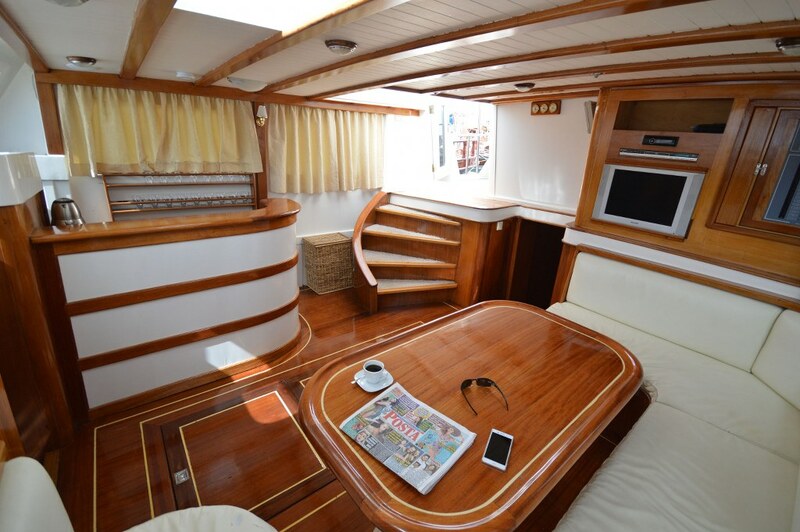 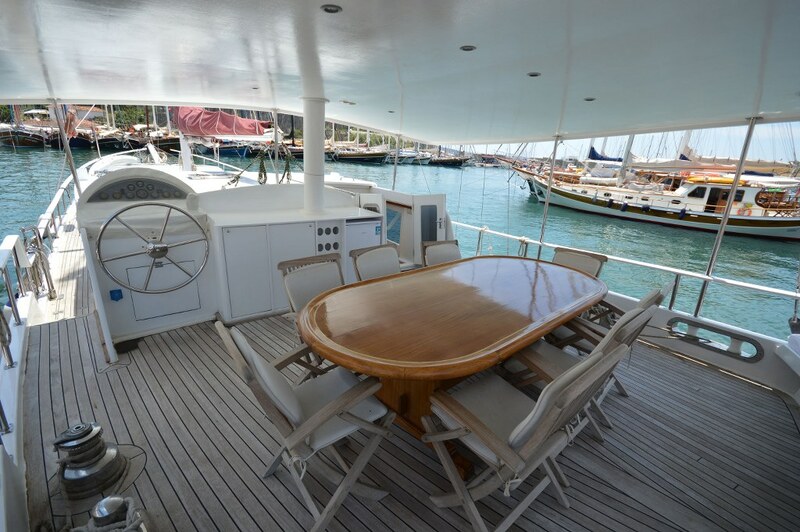 On deck the fixed awning shades the aft deck dining table and cushioned seats, while on the foredeck there is ample space for everyone to have their own sunbed and even for a small cushioned bench in the bow perfect for taking in the views or a sunset cocktail. 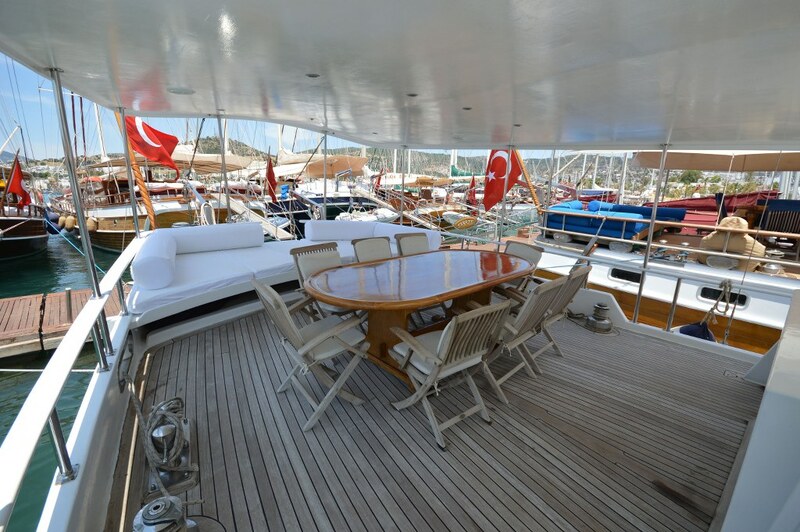 The three crew members look after all the cooking, cleaning and service and like to shake out the sails when the wind allows and if guests wish. 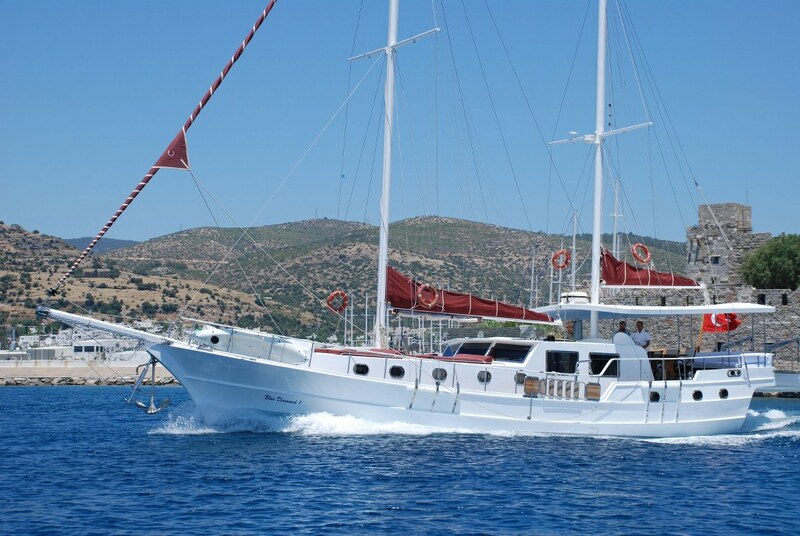 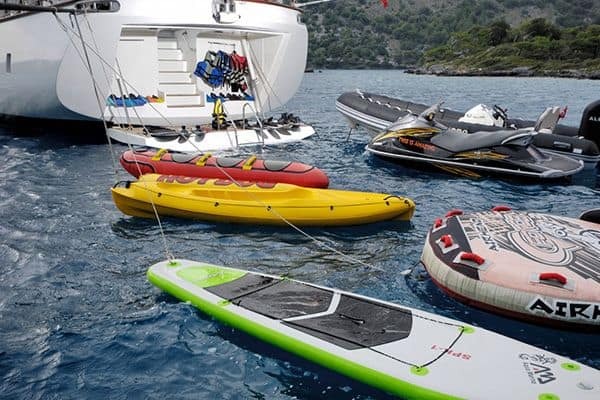 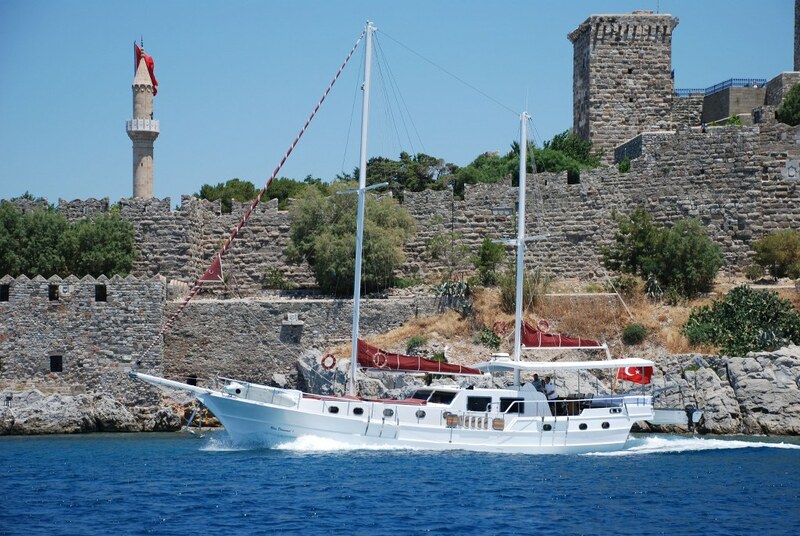 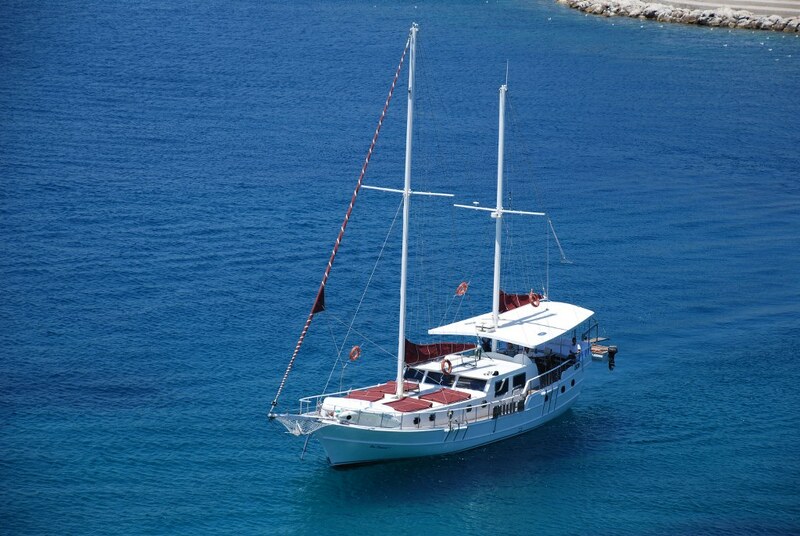 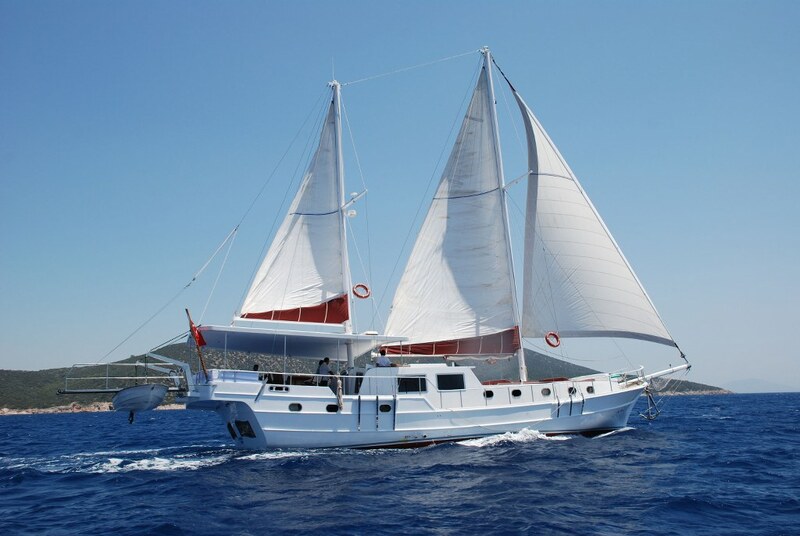 Guests have only to enjoy themselves for a carefree holiday cruise along the Turkish Coast or into the nearby Greek Islands of the Dodecanese.